For history lovers who like their stories well founded in fact. Titles marked with an asterisk are available in ebook. 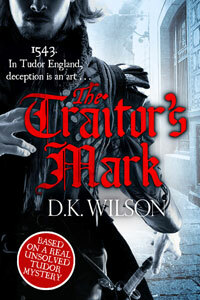 The current series of mid 16th C crime novels features the adventures and misadventures of Thomas Treviot, London goldsmith. 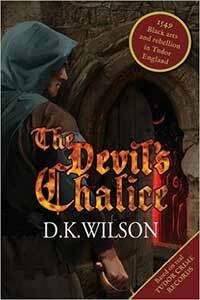 They are fast-paced adventures in the seamy underworld (and overworld) of Tudor England. What distinguishes them from other period crime novels is that each one is based on a real life mystery. 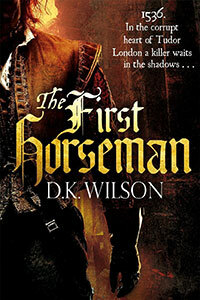 In the hot summer of 1549 two men were locked up in the Tower of London - one for the attempted murder of his uncle, the other for practising necromancy. Meanwhile England's second city, Norwich, is in the hands of rebels. Thomas Treviot is a young London goldsmith and a close family friend of Robert Packington. Through his own upstanding social connections (and some less upstanding acquaintances he has made along the way), Thomas launches a dramatic investigation into Packington’s death.